When John Caldwell [1927-12.7.2012] got his first border in 1980, he had the vision of a club being formed so that the breed's fanciers throughout Australia would have a reason for communcating with each other. During 1981 John contacted border terrier owners throughout Australia and founded and organised a club which after a meeting at Robert Bartram's home during the 1982 Canberra Royal Show, was named the Border Terrier Social Club. This club later became the Border Terrier Club of NSW. There were not many Border Terriers in Victoria at that time and John kept in touch with them. In 1984 he organised a fun day and with more people and dogs attending these events it was decided in July 1987 to form the Border Terrier Social Club of Victoria and by 1992 there were some 100 members. During that year the Club agreed with the NSW club's position for the adoption of the breed standard from the country of original as the ANKC standard. 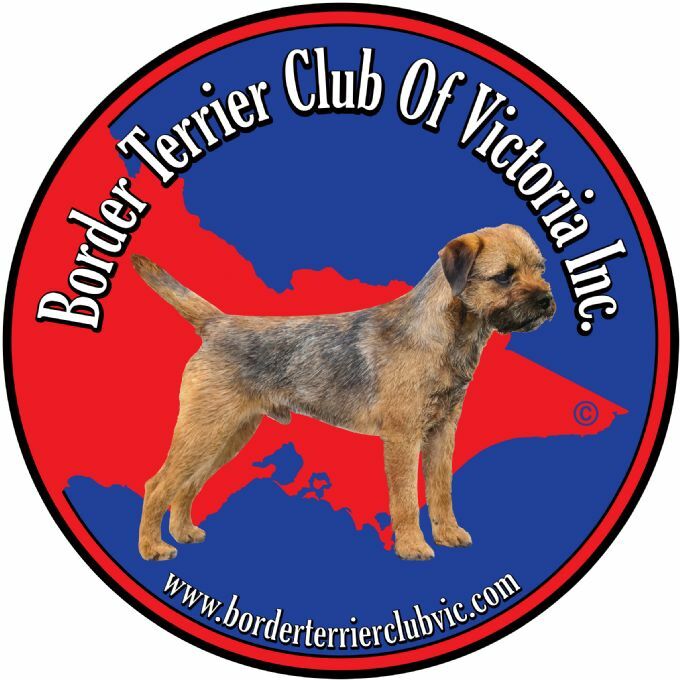 In 1992 the Social Club became affiliated with the Victorian Canine Association and the name of the club changed to the Border Terrier Club of Victoria and it also became an incorporated association. These were the beginnings of what our Club is today. Sadly John passed away on 12 July 2012. He and his wife Joyce bred Borders under the prefix Barambah. There will be those who have greater show records but there will be none who will have shown more devotion to the breed and always acted in its best interests than John and Joyce.